​​​Strafford and Rockingham Cnty & southern Maine. Typically 20 mile radius of Rochester NH. I work on a “REWARD” basis ...that means you pay me what it's worth to you and what you can afford for me to locate and return your lost item. I have a minimum $25 call out fee for my gas expenses in the local area, even if the item is not found. If the distance is greater than 25 miles, that amount is negotiable. Client will be responsible for any additional expenses incurred for searches beyond my local area, including parking, food, and/or lodging as the case may be. Please call to discuss pricing, as every search is different. Pricing to locate Items not considered LOST and of personal nature will be negotiated prior to my search. Please call or text, leave a contact number to be reached. Land ,beaches, property stakes and Beach and Shoreline. Landowners permission required for search! 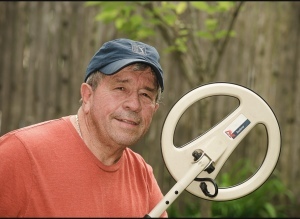 An avid detectorist since the 1990’s. Just retired from the NH Dept. of Safety, Previous Law enforcement and comm maintenance with Sheriff’s Dept. Presently certified business mentor with Score. Also a photographer and a crappy golfer.